Our house has an old tiled stove and was built Hungarian-style. 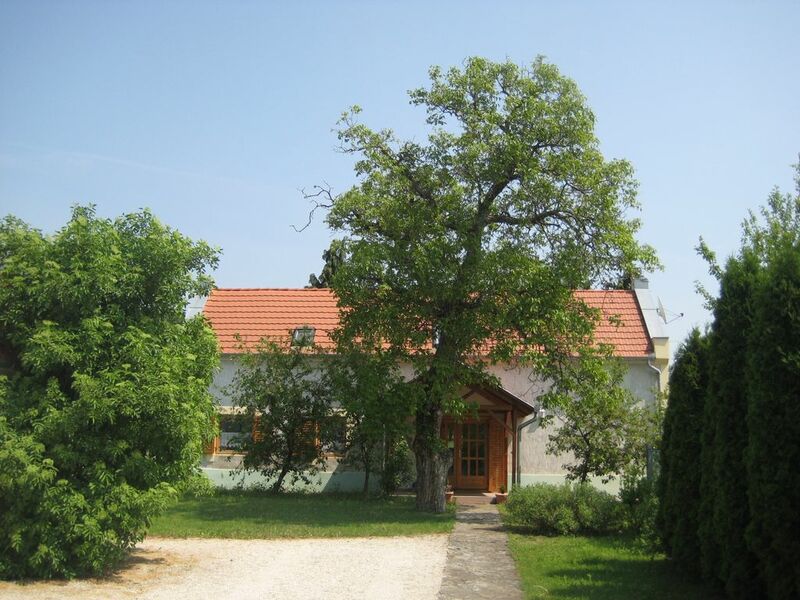 It is quietly located and surrounded by a large garden, old trees and vineyards. Central heating and the furnishings allow it to be used throughout the year, making it perfect for a visit to the Heviz spa. Between March and September, the climate is Mediterranean. Gyenesdias is a suburb of Keszthely. It has a lovely beach, stables, restaurants, Czarda supermarkets, a palace, market, dock, and much more.